Ashamed of it, or filled with it? Kings are “quietly” entrepreneurial, courageous, powerful, competitive, adventurous, visionary and generous. They leverage their success to make others successful. Instead of creating followers, they are leaders who create more leaders. The political and church traditions are changing, but they have generally defamed these self-reliant attributes as greedy and proud. CNN hosts a weekly show entitled “American Greed” that suggests all business is corrupt. Sermon topics warn of the dangers of wealth with no equal emphasis on how to create it. The resulting cultural mindset is poverty and entitlement at the expense of prosperity, freedom and personal responsibility. Exerting my Will – I’ve heard enough sermons on the evils of presumption and carnal appetites that “ambition” makes me wince a little bit. However, I’m starting to get better. What has been in vogue in Christian circles is to elevate examples of people that were so spiritual they tapped God’s power to do some great work through no effort (sweat) of their own (Ex 44:17-18). I want to simply suggest that model is bogus. Here’s why. Although God can, and does, miraculously intervene in our lives, the norm (and His preference) is to do great works through us. We’ve been so busy creating obedient servants that we created a generation of passive Christians who have abandoned our society and culture. Faith has been under-represented in education, entertainment, journalism, politics, and business because we’re so busy trying to be spiritual by zeroing out our will that we don’t compete in the marketplace. If we want to succeed in the real world and in the Kingdom, we have to be willing to try. We actually have a huge advantage once we leave our passivity behind – we’re filled with the power of the Holy Spirit. God is looking for people with a strong will, who are strongly filled with His Spirit, and who are willing to compete in the marketplace. As believers, we’re not competing to defeat others. The race is to see who can be the greatest servant (translation: “most customers”). You and I are called to accept greatness and fame. Our Kingdom goal is to make others even greater! Are you willing? …to work hard to get there? Kings Work – Paul was a King: hard working, zealous, competitive, bold… both before and after his salvation. He ran the race to win before the Damascus road, “being more extremely zealous for my ancestral traditions” (Gal. 1:14). As a Christian, he referred to his work ethic, “I worked harder than any of the other apostles” (1 Cor. 15:10). He expected the same zeal from all of God’s people – a zeal manifest in Godly ambition to make others successful in their faith and life. If you recall, he was the one who said, if a brother will not work, neither should he eat! I think he was clear on this issue of work. Although we are not saved by works, we were created by God to do them (Eph 2:8-10). Identifying your own unique talents and hooking up with your role in the Kingdom is what destiny is all about, an adventure that makes life exciting and fulfilling. The nature of prayer – The prayer movement also has a huge gap and tends to attract passive intercessors. An obedient servant or slave can’t logically have a will of his own. A servant is programmed to not have any personal dreams or aspirations. 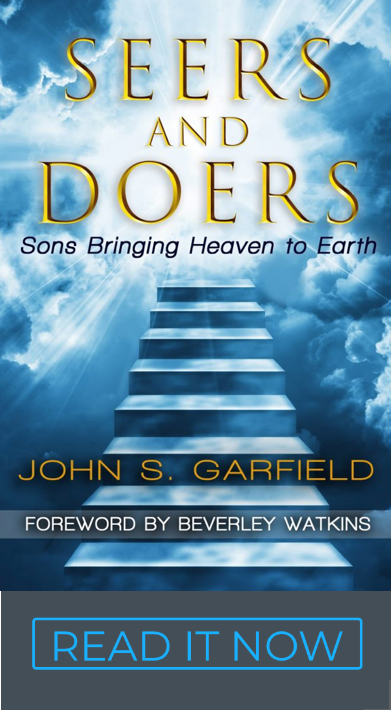 They will only refer to dreams or revelations that “God gave them.” Servants view personal ambition as carnal because they see themselves as depraved sinners saved by grace. Prayer is simply getting God to do something. Servants are often confused about exactly what God’s purposes are, because they depend on someone else to tell them. They tempt the prophetic movement to lead instead of to confirm. The concept of thinking up a new initiative to complete the will of God is beneath them (unspiritual). A friend of God operates out of a totally different paradigm. Friends feel like Kings and operate out of God’s own authority. They see themselves as redeemed sons created in His image and carrying His heart to build the Kingdom and bless the nations. They understand God is looking for people to take some responsibility and initiative to get the job done. Kings feel free to prayerfully embrace their heart’s desire, dream, plan, and set goals. They are not only comfortable with ambition, they encourage it in others on their team. As leaders they help people connect with their own heart’s desire because apathy is contagious; it erodes morale, initiative, creativity, and responsibility in the people who are self-motivated to work. Prayer is different for Kings. Instead of praying to move God, Kings have a conversation with the Father, and God moves them. Ambition in the Greek is philotimeomai (eager or earnest to do something). The paradigm of Kings includes God’s intervention, but has the added element of God empowering them to get the job done. Kings heal the sick, raise the dead, cast out demons, cleanse the lepers, raise the finances, win the elections, get the promotions, and start the businesses. They are willing to “ask whatever” is in their ambition or heart. They are free to “imagine” the immeasurable significance of “God’s power at work in us.” They are enthusiastic about their role in the Kingdom. Wealth – Another amazing difference between servants and friends or Kings is wealth. Servants logically expect to operate with other people’s money (in poverty) and pray for God to supply the finances. Kings operate in abundance, and expect to have more finances than necessary to accomplish Kingdom purposes. They don’t expect finances to magically appear. Finances are part of their plan. They work hard and invest aggressively so that their cup overflows to fund their “ambition” for ministry. They carry an anointing and wisdom to create wealth and multiply money. They are not waiting for an offering or an end-time wealth transfer – that’s what servants do. Rest – There is a place of perfect peace and rest for Kings. It’s the selah that comes from having done a good job and hearing “well done” from the Father. We “labor” to enter into it (Heb 4:11).